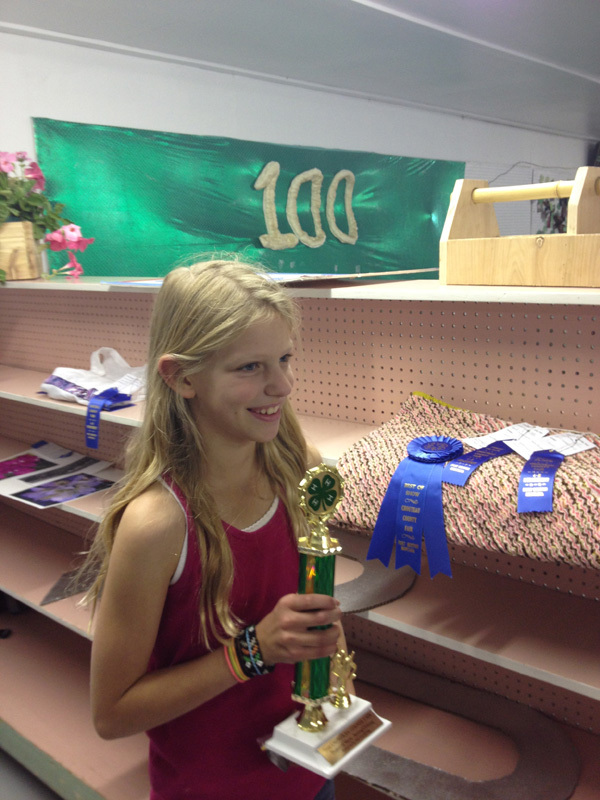 Along with her horse events, Abby completed another 4-H project to enter in the fair. 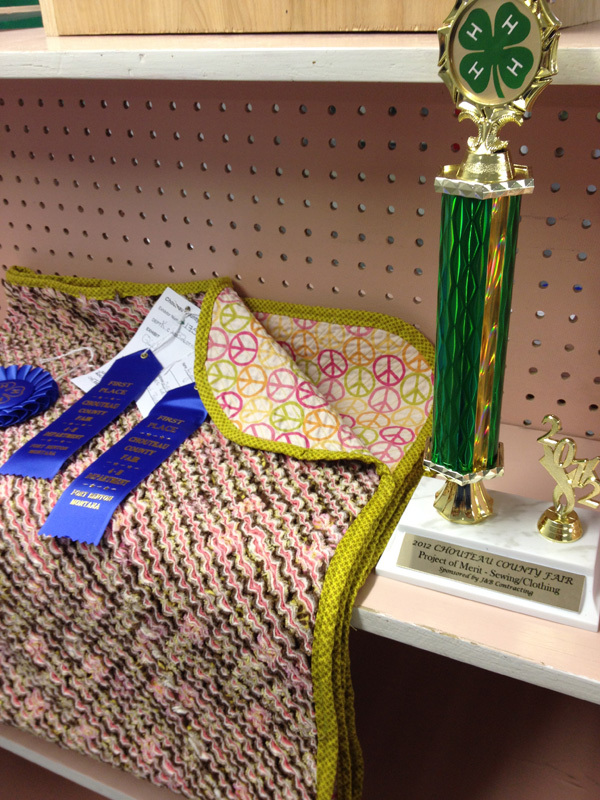 She had purchased some fabric for a 4-H class when at the last minute it was cancelled. So instead we found a tutorial online and completed it at home. This process, called "faux chenille" was really fun. In brief, you sew narrow rows on the bias through 4 layers of fabric, 3 of those layers being flannel. You then cut through the flannel layers in each stitched channel. 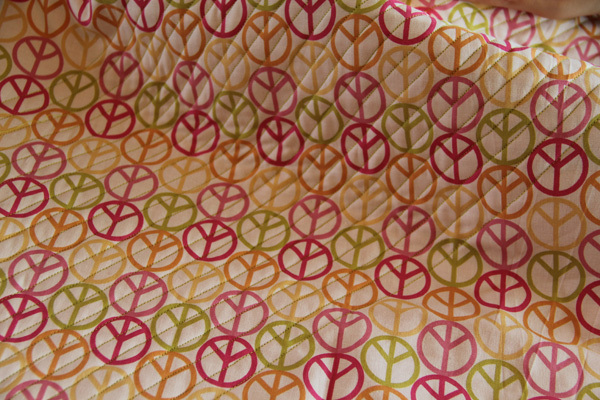 After the quilt is washed, those cut rows of flannel fray and create the fake chenille. 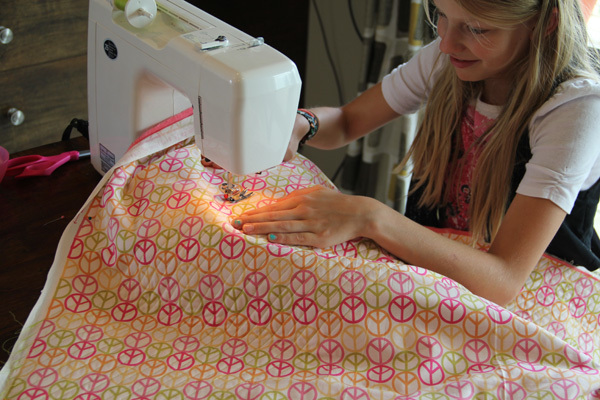 This was Abby's first time on a sewing machine, and it was a good way to practice threading and using the presser foot evenly. It was also a great lesson of persistence and patience because it was quite repetitive at certain stages. 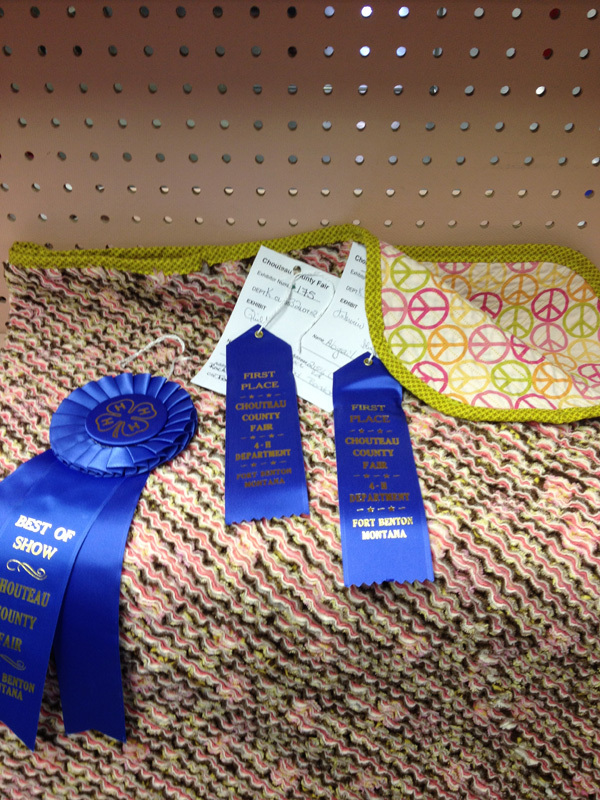 But it was all worthwhile when we wandered through the 4-H building and discovered she had won best-in-show in the sewing class. You can see the back side of the quilt and the frayed rows of chenille below. I helped her cut and sew the bias tape binding from some fabric instead of purchasing bias tape, which added an extra element of difficulty. Sewing the binding on evenly is the part that challenged her the most. I would recommend buying pre made bias tape for a beginner. Or even if you aren't a beginner. 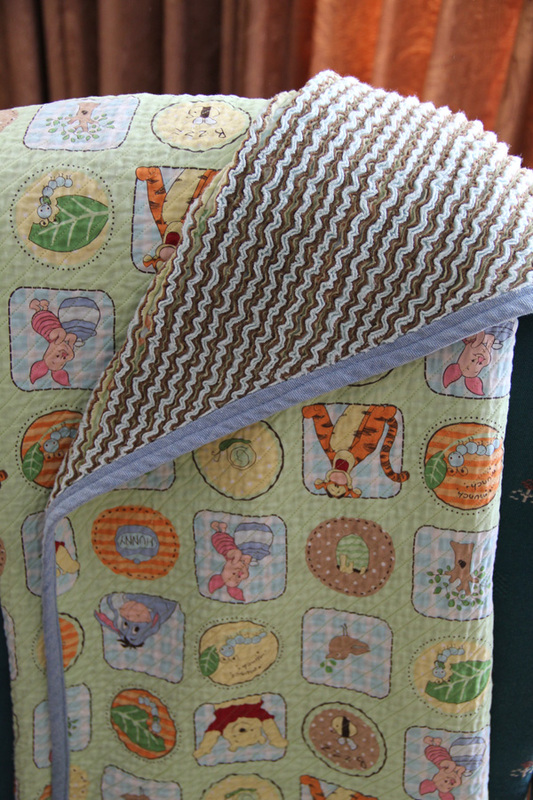 I thought the process was so much fun that I decided to buy some fabric and make one for my new nephew Brandon. 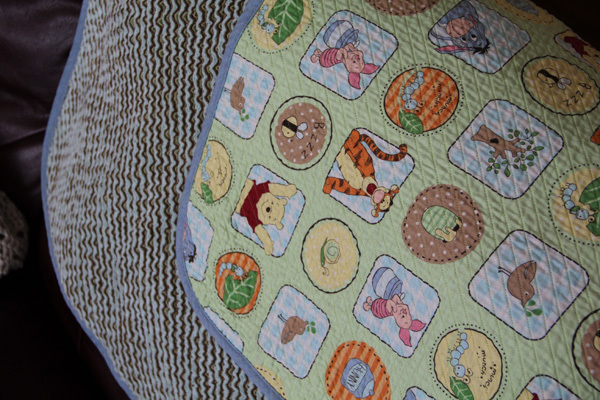 His nursery is Winnie the Pooh. I found a denim bias tape to use for the binding and it was much easier to sew evenly. 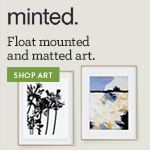 Overall we found this project to be really fun and relatively quick and easy. Here is a link again to the tutorial we used if you would like to try this for yourself!